"We extend our profound condolences to the victims and deep sympathy to the bereaved families," the ministry's spokesperson Lu Kang said late Sunday night in a statement. 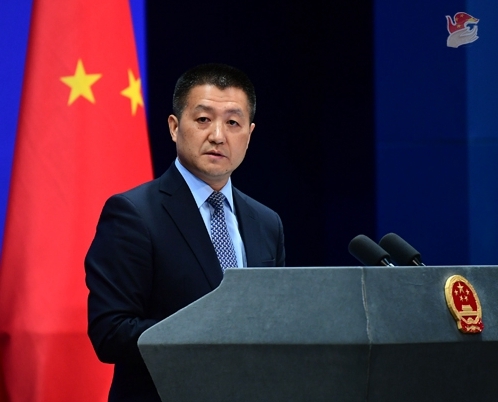 After learning the crash, the ministry ordered China's embassy in Ethiopia to launch the emergency response and immediately contact the Ethiopian government and Ethiopian Airlines for further information, Lu said. China hopes that the Ethiopian side will find out the cause of the air crash as soon as possible and keep China updated the investigation developments, he said. The foreign ministry and the Chinese embassy in Ethiopia will keep a close watch over the developments and go all out to help the families of the victims to deal with the aftermath, Lu said. Ethiopian Airlines confirmed that a Boeing 737-800 MAX, bound for Nairobi, Kenya, crashed shortly after taking off from the Ethiopian capital Addis Ababa Sunday morning local time, killing all 157 people on board, including eight crew members.